It’s no secret that a lot of our fantastic beard encounters here at Beards of Denver have occurred whilst sampling some of the many fine brews crafted in our wonderful city. It was on such an occasion on a recent chilly fall Saturday night that we found ourselves at Black Shirt Brewing, only to have our hearts warmed by meeting Ben and admiring his glorious beard. Ben even managed to surprise us (we’re normally so unflappable) by admitting to being a Beards of Denver fan! You’re earning mega points there, Ben. 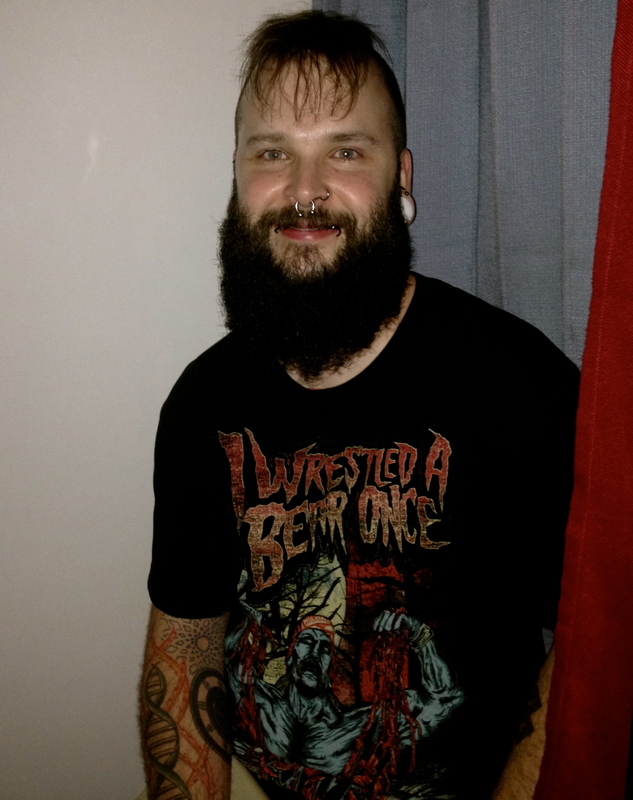 The incarnation of Ben’s beard was about a year ago when he started a new gig and proclaimed he was no longer going to shave, which obviously has been a huge gain for the entire universe. 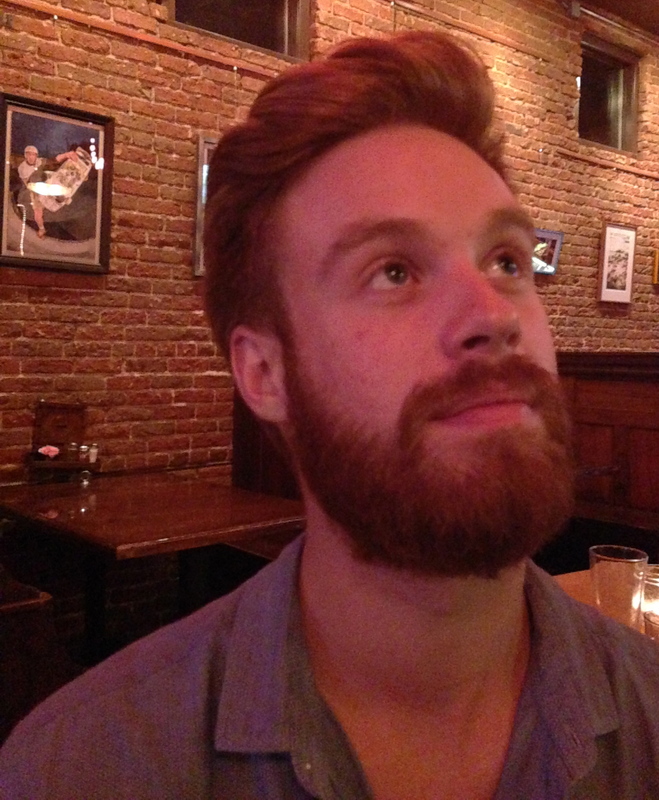 Ben, who’s lived in Denver about a year, is a true-bearded Coloradan, hailing from one of our favorite cities and northern neighbor, Fort Collins. Ben shared that beard growth is all in the family: his dad hosts an annual chili party where almost all the men in Ben’s family sport beards, and we certainly expect an invite to the next one! Ben’s wonderful wife of a year-and-a-half, Brittany, loves his beard, and we predict a long and happy life together for these two; after all, a bond built on beard-love cannot be broken! 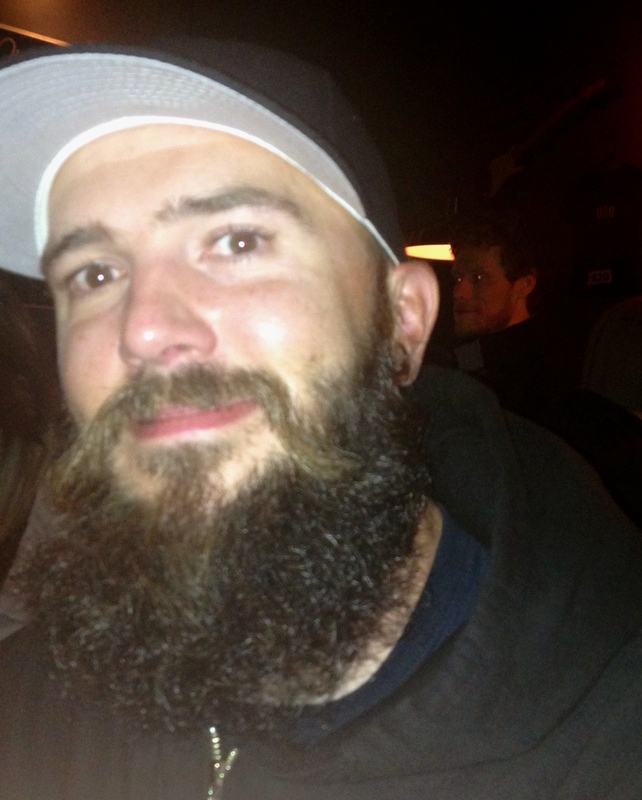 Ben says normally strangers seem to fear his beard, with the notable exception of Beards of Denver (of course). Thanks Ben, keep the beard growing strong! On occasion, the stars align for the ladies of Beards of Denver. When we think we’re simply heading out on the town for an always-innocent night of sippin’ whiskey and dancin’ to the folk-Americana-bluegrass-accordion-laced music we fancy, wouldn’t you know, a fabulous beard enters our orbit. Such was the case on a recent Friday night at Larimer Lounge in Denver, when our already wonderful night of listening to the amazing tunes of Hurray for the Riff Raff (who put out one of our favorite albums this year) and Spirit Family Reunion was topped off by meeting Joe from Denver and admiring his amazing beard. Believe it or not, ladies and gentlebeards, this is Joe’s first foray into serious beard growth. He’s been growing his beard since February, and shared with us that lots of guys “Think they are not beard guys because it grows in patchy” but he was adamant they need to stay the course and get past those uncomfortable stages until they reach full beard glory. We, of course, couldn’t agree more. Joe, who often used to shave his head, altered his hair cut to complement his beard. Such good choices! Joe shampoos his beard every few days, and came about using a beard cream in a rather serendipitous fashion. Walking into the Dive Inn bar on South Broadway one night, he encountered a bar back there who makes a beard cream called Don’s Beard Cream, which accounts for his beard’s soft texture (turns out you can buy this at Indie 6). 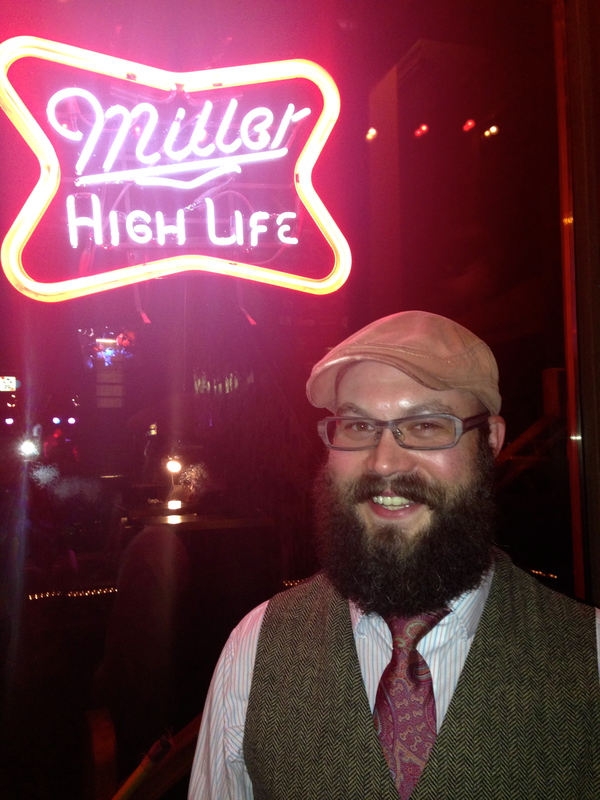 Yet another example of wonderful Denver Beard-brotherhood. Originally from Cedar Rapids, Iowa, this good Midwestern boy has called our fair city of Denver home the past eight years. When not grooming his beard, he plays guitar and generally philosophizes. 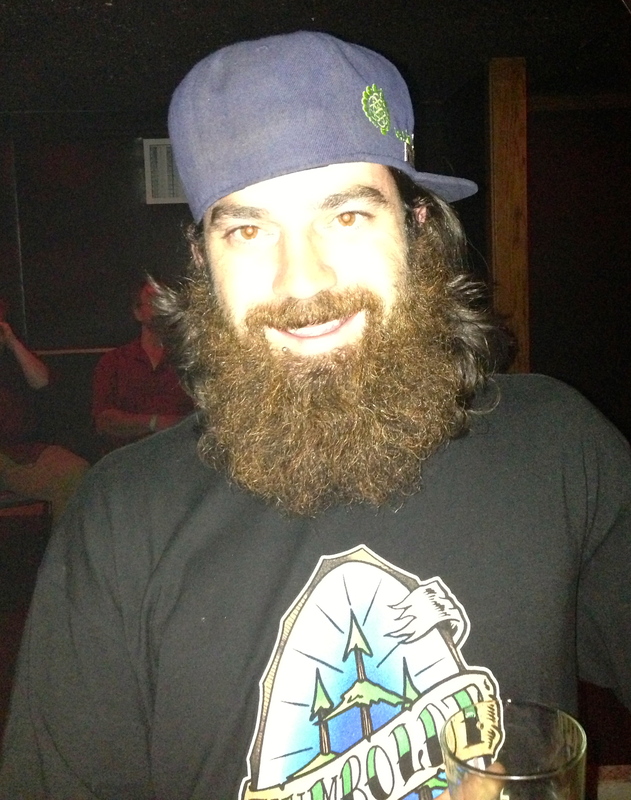 Believe it or not ladies, Joe’s a free agent, which we’re sure won’t last for long with a beard like his. He plans to put in at least a full year of beard growth, declaring “I feel like I’ve come so far and I need to take it to the limit. Why do anything if you’re not going to go all the way?” Take it all the way, Joe! We can’t wait to see how your beard progresses come February. The ladies of Beards of Denver always feel fortunate when we are lucky enough to meet a new (to us) bearded Denver gentleman, and we always have a hunch when we visit one of our fair city’s wonderful breweries that Lady Bearded Luck is a bit more likely to smile upon us. Such was the case on a recent fall night in Denver, where we happened upon Kyle and his fiery-gingerbeard as we were walking into Black Shirt Brewing in RiNo neighborhood. Kyle, who is originally from Mississippi, lives in North City Park with his lovely sweetheart Erin and their dog Belle. His glorious beard originates from the fact that he’s not very good at shaving, and he noted “Everybody loves it.” And how could you not love such a beard with that captivating red hue? 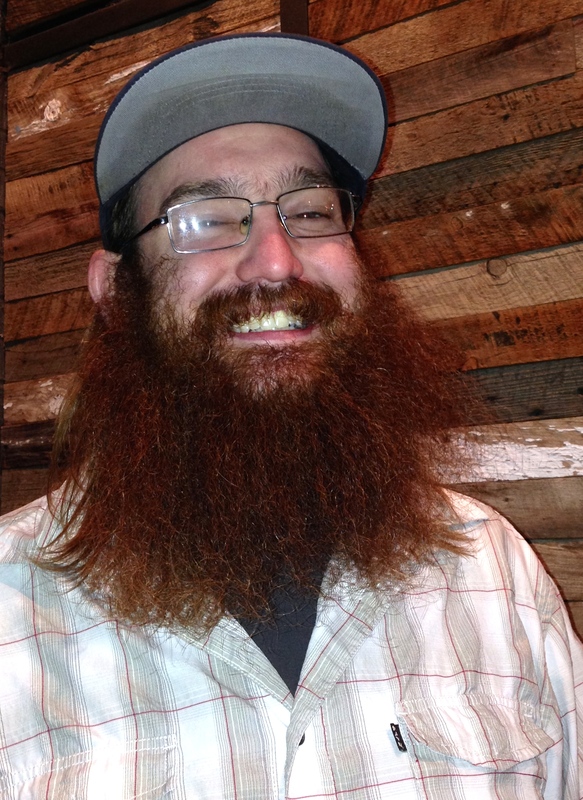 Kyle’s redbeard is even more fitting when we found out he works at Fire on the Mountain in Highlands, our favorite wings spot in the city (and a mecca to find many impressive beards to admire). In addition to Kyle’s dedication to his beard, he has major allegiance to D-Town, proudly stating, “What other cities compare to Denver?? San Fran is cool, but it’s NOT Denver.” We couldn’t agree more Kyle. You and that fantastic beard of yours best never leave! 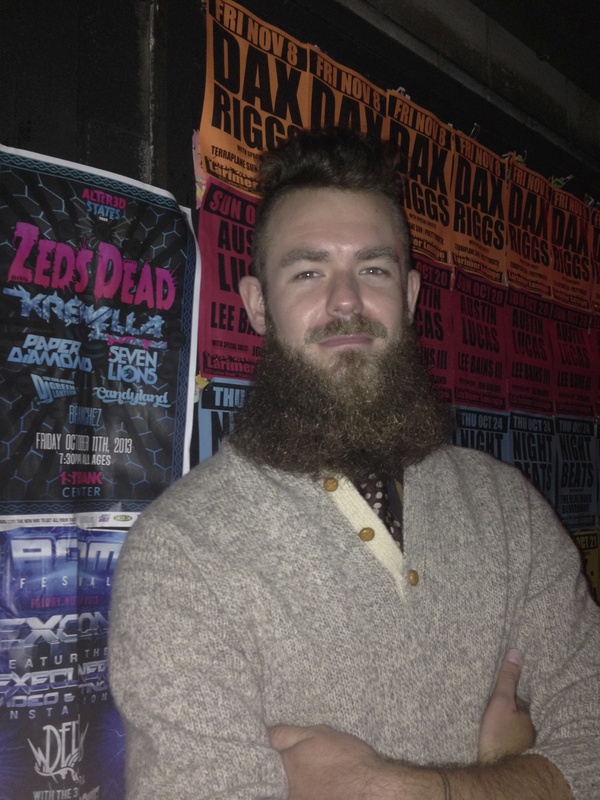 It’s not everyday you meet a stand-up beard who also plays the stand-up bass, but the ladies of Beards of Denver were in the right spot at the right time on a recent fine, fall evening to meet Max and admire his ginger-bearded fantasticness. Max, a musician from London, England, currently plays bass and stand-up bass in Tom Odell’s band, and we were lucky enough to hang with Max and his bandmates (curly-haired Max, Matt, and Tom) at Goosetown Tavern after their show at The Bluebird in Denver. Max has been growing his beard for the past three years, and is a firm believer his face looks better bearded. We agree, though his mom isn’t in our same camp, as she wishes he would shave so she can more freely admire his handsome face. Max’s sweetheart, Ann-Marie, is on our side, though, as she is adamantly against Max shaving, and Max loves her the more for it, claiming “She’s the sweetest girl in the world and puts up with me quite a lot.” Such sweet words from such an amazing beard aren’t that surprising, but we imagine Max is a bit easier to put up with while sporting his impressive beard. Luckily, the life of a touring musician seems quite appropriate to continue his bearded-mastery. Look for Max, his beard, and his bandmates on Leno soon, and follow him on Twitter @max_goff for beard and other sure-to-be-intriguing updates. Cheers Max! We’ll happily tip some scotch and fireball back with you anytime you’re back in our lovely Denver.